This medical Mayo Stand offers height adjustment with the easy locking knob. 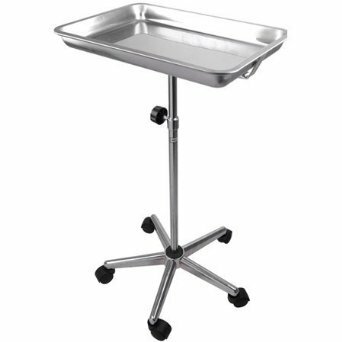 It Features removable stainless-steel tray and travels easily on dual wheel nylon casters, perfectly designed for convenience during limited-space surgical procedures. Height adjustment range: 29 1/2" - 47 1/4"